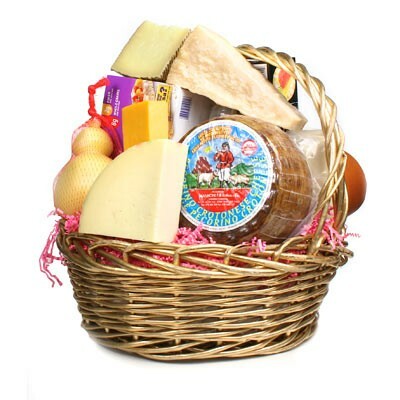 Craft a unique basket filled with gourmet, imported cheeses and specialty confections. We can make any basket with your choice of cheese or wine and the price can be determined according to what is in the basket. Call or email your requirements.